We are proud to be a member of the Motor Industry Code of Practice. This is a self-regulatory body for our industry and our membership is representative of our continuing commitment to maintaining high standards in all areas of our service, including both repairs and servicing. Motor Codes is dedicated to driving up standards in the motor industry and this is a cause we’re equally passionate about. This is why, rather than entrusting your vehicle to a mechanics which isn’t affiliated with Motor Codes, you should speak to us here at TC Motors. We are committed to adhering to these codes in order to provide the best service possible for our customers. And so, for fair prices and top quality workmanship from a reputable company, contact us today. 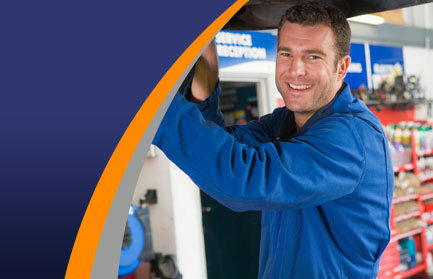 Our team are ready to help with any issues in order to provide you with a service that is second to none. What does Motor Codes membership mean? For a top quality job from start to finish, including everything from our working processes through to clear and accurate billing, get in touch with TC Motors today. We provide tyre fitting, exhaust systems, MOT testing, car repairs and car servicing – and you can have complete peace of mind that we complete each of these services to the very highest of standards.